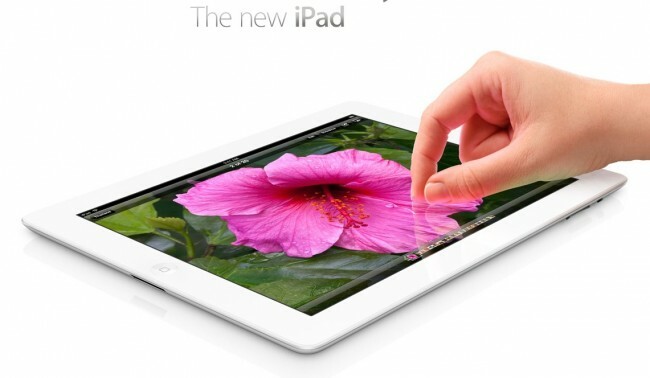 Initial Thoughts on Apple’s New iPad? We just spent the last hour and a half following Apple’s latest event, one that introduced the new iPad. We put ourselves through painful situations like this because even though they may not interest us on a personal level, some of what happens does affect the future of the Android platform. Whether you believe it or not, Apple does innovate from time to time, so keeping an eye on their happenings just makes sense. So what did we see? More importantly, what did you see? Initial thoughts? Retina Display: The biggest piece to this new iPad is clearly the retina display. Even with Asus announcing a higher resolution Transformer at 1920×1200, it doesn’t quite match the 2048×1536 resolution (264 ppi) on the iPad. Certainly there are Android manufacturers out there looking to equal it or produce higher pixel density, but for now, it’s time to play catch-up. Processor: Apple’s new A5X is essentially the same processor that is in the iPhone 4S, but they pumped the GPU up to quad-core status. So no, this is not a quad-core processor as was rumored, it’s still just a dual-core SoC. It does have a ridiculously powerful GPU on it though, which means gaming on the iPad will be unlike any other device. Currently the Tegra 3 has the only GPU that can come close, so we’ll have to wait and see how benchmarks play out once this new iPad is released. LTE and Battery Life: Since we knew the processor and screen were going to get bumps, the other thing we were actually paying attention too was the 4G LTE announcement for this new iPad. And not because 4G LTE is new (like the Apple media I listened to during the event seemed to think), but because LTE is the killer of all batteries. We wanted to see if Apple had come up with some miracle way to extend the life of an LTE device. They list a 9 hour life using cellular data, which doesn’t necessarily scream “this thing lasts forever!” if we look at the spec sheet. With it’s 42.5-watt-hour battery, we are talking PC-grade battery here. From what I can gather, Apple didn’t find a miracle LTE cure, they just found a way to put a massive battery into this new iPad. The previous iPad2 had a 25-watt-hour battery for comparison sake. Price: They managed to keep the pricing at $499 for the 16GB WiFi model with LTE variants starting at $629. Camera: They put a really nice 5MP camera in the back, something that no one on a tablet uses. And that’s pretty much your new iPad. It’s easy to crown this the new champ of tablets since it’s from Apple and no other tablet manufacturer other than Amazon has even made a dent in the market. But what we as Android fans should take away, is that…well, I don’t know. Android tablets are something we will all mostly favor, but it’s going to take a monumental push from Google if they are going to try and top this one. I hate to continue to rag on the Android tablet market, but it has failed so miserably up until now that maybe Google is the only one that can save it. Let’s just hope they use better marketing techniques and support than they did for the Galaxy Nexus if they do take on this market.